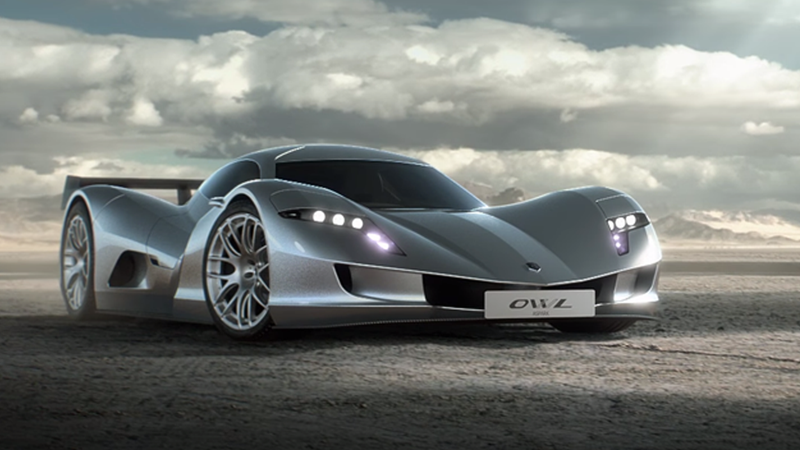 The seemingly ever-changing Aspark Owl electric hypercar is back on the auto show circuit after its debut at the Frankfurt Motor Show back in 2017. It showed up to this year’s Paris Motor Show now claiming to have 1,150 horsepower and a non-refundable deposit ask of just $1.15 million. That deposit gets you about a third of the way to the full $3.6 million price tag, which is actually down from the $4.4 million price we reported last year. Aspark, the Japanese engineering firm that’s been developing the car since 2014, still only plans to build 50 of the Owls. The price isn’t the only thing that’s changed since last year. Aspark’s claim the car has 1,150 HP is a huge jump from the 430 HP they were claiming last year. The company as well claims about 653 lb-ft of torque, via Bloomberg. Back in February, the Owl set a claimed zero to 60 mph time of 1.89 seconds on racing tires, and expects street tires to likely keep that time under 2 seconds. It’s not clear what the final motor arrangement will be on the production car yet, so this could all change again. The company also claims it has a top speed of 174 mph, a dry weight of around 3,300 pounds and a range of 186 miles on a full charge, and that’s most likely only if you’re not trying to break that zero to 60 mph time. Let’s compare the Owl’s numbers to the upcoming Rimac C Two, which has a claimed 1,914 hp, 1,696 lb-ft of torque, a claimed top speed of 256 mph, a range of 403 miles, a weight of 4,299 pounds, a price of $2.1 million and a claimed zero to 60 time of 1.85 seconds. For my imaginary money, the Rimac is a safer choice, as it hasn’t changed multiple times and had multiple announcements of updated performance figures, and it doesn’t look like it was, you know, designed by a bunch of engineers. But we’ll see if the Owl can put all of that money to the road. Hope it works out for all of you non-refundable deposit folks when the car is scheduled to show up in 2020.